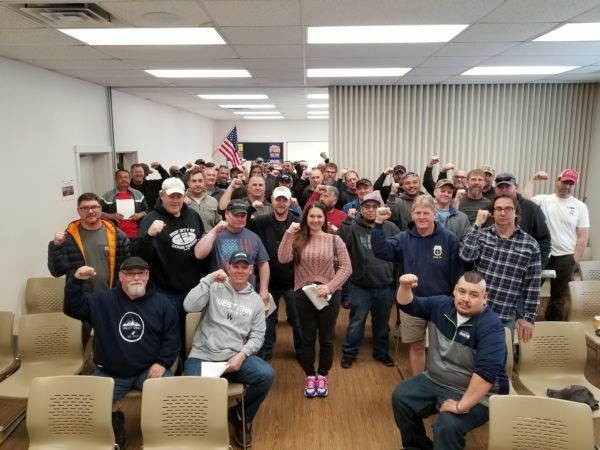 March 23, 2019, Teamsters Local 231 Drivers and Mechanics employed at Waste Management of Skagit County voted Unanimously to ratify historic agreement! 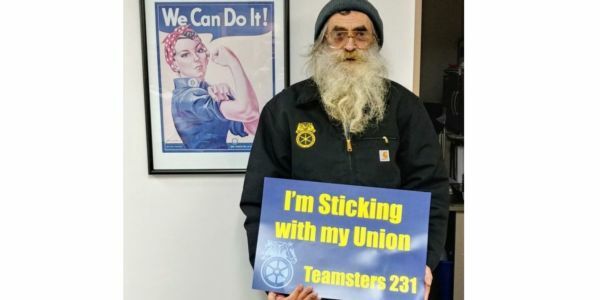 Secretary-Treasurer Rich Ewing partnered with Rick Hicks, Secretary-Treasurer of Teamsters Local 174 to negotiate a multi-local common clauses agreement. We have set up our team, Teamsters Care, and would like you to team up with us this year. We will have our team tech shirts ready for each team member, and we will meet at the Teamsters Hall at 8:00 a.m. on 4/20 to get your team shirt and race packet for the run. Congratulations to Casey Douma a 40 year BCS Employee and a 50 year Teamster local 231 member, who recently retired! Casey started working at Kale Canning Company in Everson in 1968. He worked there until the plant closed in 1977. In 1978 Casey started working at Bellingham Cold Storage and he continued his employment there until he retired at the end of 2018. 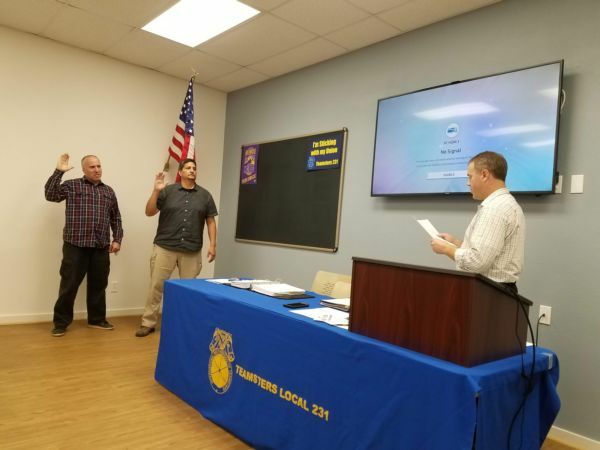 Congratulations to Daron Smith and Russell Hayes who were sworn in by Secretary-Treasurer Rich Ewing on September 12, 2018. Teamsters Local 231 is commited to improving the lives of our 2200+ members through the Solidarity of the membership. Chartered as a General Local on January 8, 1909, Teamsters Local 231 currently has 64 collective bargaining agreements with 50 different employers in Whatcom, Skagit, Snohomish and Island Counties. Our members work in a variety of industries including package handling (UPS), warehouse, freight, solid waste and recycling, local government, bakery, laundry, construction, food processing, dairy, public school transportation, law enforcement and more.